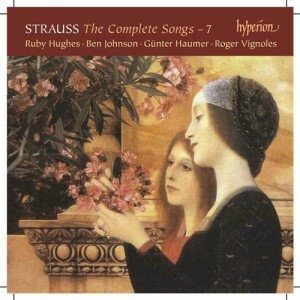 Volume 7 of our Complete Strauss Songs cycle focuses on the juvenilia. But obfuscated beneath the mysterious TrV numbers lie conceptions hard to reconcile with the facts behind their composition (Strauss was just six when he penned the ?rst of them-his mother had to write in the words for him). Three new singers-Ruby Hughes, Ben Johnson and Günter Haumer-join Roger Vignoles in this most unexpected of recitals to relish.